3/4" 1" 1-1/2" 2" 5/8"
3 YRS Wenzhou Maikoukou Network Technology Co., Ltd.
2 YRS Guangzhou Mailinna Trading Co., Ltd.
2 YRS Changle Baolong Textile Co., Ltd.
14 YRS Shaoxing Tianyun Trading Co., Ltd.
this way we can realize the insufficiency in our work to improve it. as we always look forward to long-term cooperation with our clients. 1 YRS Guangzhou A&C Fashion Accessories Co., Ltd.
2 YRS Shantou Zhenxin Garment Industry Co., Ltd.
2 YRS Ningbo MH Industry Co., Ltd.
8 YRS Guangzhou QianSiLi Textile Co., Ltd.
5 YRS Ningbo LEMO Textile Co., Ltd.
we are particularly acting our major role by having a strict watch quality during the production, and feedback the right information to our customers. our qc will submit inspection report before shipment. 6 YRS Shaoxing County Lacedream Textile Co., Ltd.
they are widely used in wedding dress, women&rsquo;s garment, evening grown, accessories etc. besides, we have trade company in keqiao, shaoxing, zhejiang province. 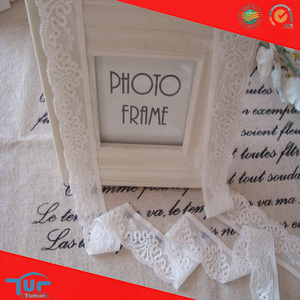 3 YRS Fujian Yawei International Trade Co., Ltd.
mesh lace to embroidered lace ,net fabric . we have machines like karl mayer, raschel, jacquard and some others ect. 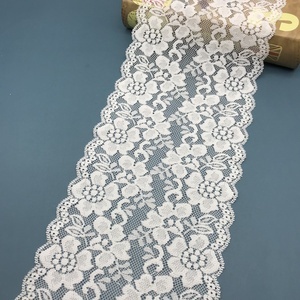 4 YRS Changle Hongtai Knitting Co., Ltd.
product picture main product wide-brim lace fabric nylon lace trim spandex lace trim african lace fabric eyelash lace fabric usage workshop global market shipment located in changle, fujian, which has a convenient transportation. 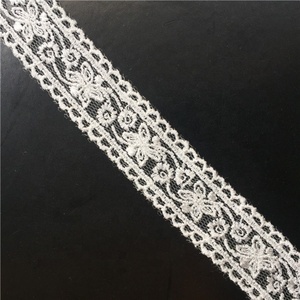 4 YRS Guangzhou Forever Love Fashion Accessory Co., Ltd.
Wholesale Nylon Spandex Crochet Elastic Trim Textronic lace ribbon FLL-069 PRODUCT DESCRIPTION Product Name Polyester Lace Model No. FLL-069 Material Lycra spandex Color DTM any colors Size 5-10cm Customized Accepted with negociated MOQ Moq 1 roll Usage underwear,shoes,bags,garments,gifts ect. PLEASE GIVE ME A CHANCE & SEND ME INQUIRY OR CONTACT WITH ME Wholesale Nylon Spandex Crochet Elastic Trim Textronic lace ribbon FLL-069 AS BELOW: LET'S DO A NEW & MOST SUITABLE DESIGN FOR YOU ONLY ! 7 YRS Fuzhou Shining Imp. Exp. 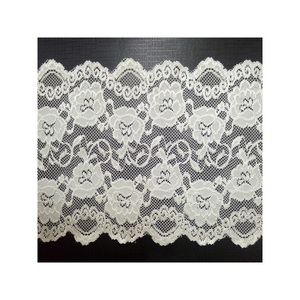 Co., Ltd.
if you also need lace for your market, there should be business between us. we are working with the largest local dyeing house whose dyeing technical can reach eu standard. 9 YRS Haining Gino Textile Co., Ltd.
4 YRS Guangzhou Tanglong Textile Lace Co., Ltd.
3 YRS Guangzhou Oulin Trading Co., Ltd.
pearl lace product is garment accessories. pearl lace is used for fashion accessories, garments, dress, shoes, bags, ect. 6 YRS Guangzhou Kavatar Trading Co., Ltd.
5 YRS Zouping Beautex Co., Ltd.
we have lace fabric,mesh fabric,tullle fabric,knitted fabic,denim fabric business. we will offer you the best product what you need and the most favourable price. 2 YRS Guangzhou Lucky Girl Fashion Accessories Co., Ltd.
4 YRS Yiwu Leiao Garment Accessories Co., Ltd.
9 YRS Qingdao Hui Li Yuan Webbing Co., Ltd.
looking forward to long-term cooperation with you! 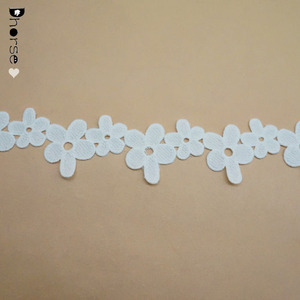 11 YRS Guangzhou Horae Trade Co., Ltd.
4 YRS Puning Golden Knit Co., Ltd.
3 YRS Yiwu Zhen Bo Clothing Accessories Co., Ltd.
2 YRS Nanjing YODO Textile Co., Ltd.
2 YRS Guangzhou Diligent Textile Co., Ltd.
we offer a varied widths of lace elastic. we assure you that only high quality products will be offered if you order from diligent. 5 YRS Shenzhen Wedtex Co., Ltd.
1 YRS Yiyang Mega Trade Co., Ltd.
7 YRS Xiamen PC Ribbons And Trimmings Co., Ltd.
2. professional and passional team provide efficient response to pre-sale and after-sale service. 5.pre-production sample photo be sent for comfirm, and make sure the delivery time. but suggestion and market information will be appreciated from your side. 1 YRS Hefei Baihe Wedding Shoes Trade Co., Ltd.
7 YRS Guangzhou Q&N Fashion Accessory Co., Ltd.
Q&N is a professional factory for premium ribbon and ribbon ornaments. We bring customers more functional ribbon ornaments into business and home. You will enjoy wonderful shopping service here! 2 YRS Ningbo Tongyuan E-Commerce Co., Ltd.
3 YRS Shenzhen Huayu Accessories Co., Ltd.
9 YRS Yiwu Boka Garment Accessories Co., Ltd.
6 YRS Xiamen Flora Ribbons And Bows Co., Ltd. Novelty metallic planchet ribbons for decorative Product picture of decorative ribbons Product description of decorative ribbons Product Name Novelty metallic planchet ribbons for decorative Specifications Italy design,quality assurance Product Type Garment accessories Model Number STR0793 Place of Origin Guangdong,china(mainland) Width As actual sample Color As picture Decoration sequins Feature Eco-friendly,water soluble Technics Handmade Fabric Type Other Material Other Sample order Accept. 5~10days Own design Acceptable Min. Order Quantity 200 Yard/Yards FOB Price USD 0.5-5 per yard Port Guangzhou / Hongkong Payment Terms L/C,T/T,Western Union,paypal Supply Ability 50000 Yard/Yards per Month Delivery Time 15~45days Packaging Details pack in roll+PP bag+Carton box Shipping way By ship or by air, Besides, by Express, DHL, UPS, FedEx, TNT. 5 YRS Guangzhou Shidao Commerce Trading Co., Ltd.
Payment T/T, Paypal, other terms be negotiable Usage For garment, dresses,home textile,shoes and so on. We can accept T/T , L/C at sight,Western Union,Paypal other terms be negotiable Packing:Inner rolled in paper tube,covered with poly bag ,outside put in carton. We can accept the OEM & ODM,We warmly welcome the clients from all over the world to come to our factory for visit and cooperation. 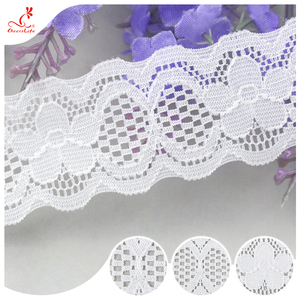 Alibaba.com offers 4,467 nylon lace ribbon products. About 31% of these are lace, 8% are ribbons. 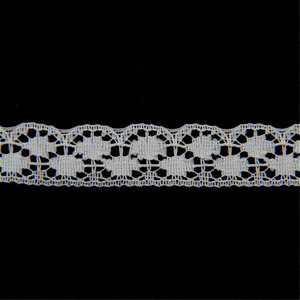 A wide variety of nylon lace ribbon options are available to you, such as eco-friendly, elastic, and water soluble. You can also choose from 100% cotton, 100% polyester, and polyester / cotton. As well as from printed, knitted, and embroidered. And whether nylon lace ribbon is ribbons, or lace. 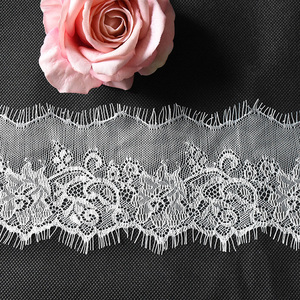 There are 4,467 nylon lace ribbon suppliers, mainly located in Asia. 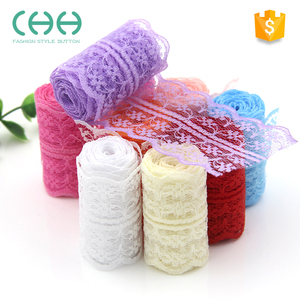 The top supplying country is China (Mainland), which supply 100% of nylon lace ribbon respectively. 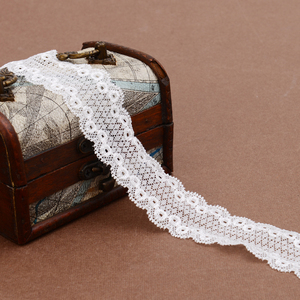 Nylon lace ribbon products are most popular in North America, Western Europe, and Southeast Asia. You can ensure product safety by selecting from certified suppliers, including 1,273 with Other, 130 with GSV, and 121 with BSCI certification.